More than two-thirds of gamers are now running Windows 10, with Windows 7 usage dwindling to ever-smaller numbers, according to the latest stats from Steam. Steam’s latest hardware and software survey – which checks what its users are running on their PCs in terms of CPU, GPU, operating system and more – found that 66.92% are using Windows 10 64-bit, with a further 0.23% on the 32-bit version of the OS, to make a total of 67.15%. That’s up just over 2% on the previous month. As for Windows 7, that’s now on 25.1% (with 23.79% running 64-bit), a drop of almost 2.2% since last month, roughly corresponding to the gain made by Windows 10. Windows 8 remained static on 3.54%, while outside of Windows versions, 3.27% of Steam gamers are using macOS, with 0.82% on Linux (a quarter of the latter are running Ubuntu 18.04.2 LTS 64-bit). These sorts of stats are always interesting to see, particularly as Windows 10 has just crept over the two-thirds mark, poaching users from Windows 7. 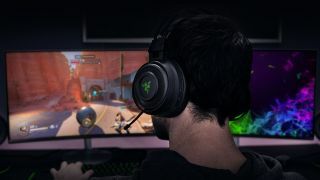 With Windows 7 down to just a quarter of gamers on Steam, and end-of-life (when support is discontinued by Microsoft) looming for the older OS in less than a year, it seems inevitable that sizable monthly declines are likely to continue, with the pace of them quite possibly increasing as Windows 7 becomes an increasingly marginalized choice for gamers. However, in broader usage, looking at the operating system picture across all desktop PCs, things are far less clear-cut. Indeed, Windows 10 only overtook Windows 7 in terms of overall desktop market share in January of this year, according to one analytics firm (Netmarketshare). In the last report from Netmarketshare, for the month of March, Windows 10 climbed up to 43.6%, with Windows 7 on 36.5%, while rival analytics firm StatCounter has Windows 10 on over 55%, with Windows 7 trailing on 33% – but neither of those stats are as impressive as Windows 10’s level of adoption by the gaming population, of course.